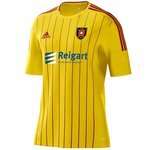 Cowdenbeath game OFF | Albion Rovers F.C. At it says game off! I knew it....glad I didn't risk the journey but disappointed as we are really making a fight of it just now. Berwick off too....yes, we've had snow here in Northumberland overnight, so they still have this tough game to play. Just seen it's rearranged for this Tuesday. May be a bit premature.